The next big project on Bioware’s list is the the sequel to Mass Effect, a title planned to be developed by both its Edmonton and Montreal studios. According to a recent report, Bioware has already established a new Montreal group for Mass Effect 2 to work within the EA Montreal studio. The new group is planned to have around 30 members, with almost half of them coming from Edmonton. The other half will consist in new recruits, so those of you who are interested should feeel free to apply. 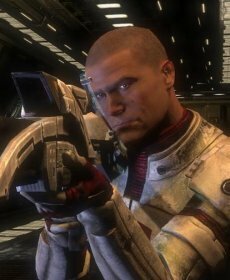 "We’re really excited about it, and we think it’s going to be a huge opportunity to tap into the talent base in Montreal while supplementing our existing teams in Edmonton and Austin, which are doing some great stuff on all the other projects BioWare’s working on," Muzyka said. "The growth we’re seeing in Montreal is aligned with what [EA CEO] John Riccitiello laid out as the goals; we’re still investing in innovations and new IPs that EA’s going to support." EA Confirms: The KotOR MMO Is In The Works!